Lim and Lu is a multi-disciplinary design practice based in New York City with an emphasis on innovative product and furniture designs. 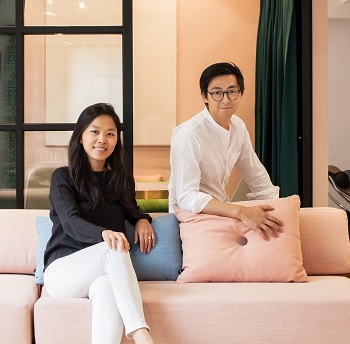 Both trained architects, the design duo Vincent Lim and Elaine Lu begin the design process with the user in mind, creating pieces that fit effortlessly into the user's life by offering the freedom to compose. Lim and Lu’s designs, inspired by familiar images from everyday life, push the trend of individualization by presenting flexibility, practicality, and a breath of fresh air in every piece.